I watched morning-TV in 2012 and a friend, Poppis Suomela, was there talking about his attempt to climb Everest. Poppis has trekked to both poles of the earth and was aiming for the third extreme. I later met with him and he thought that summiting Everest could be realistic for me. I started to look into it and came to the same conclusion. So, planning and training started in the end of 2012. In the spring I went hiking in the Swedish national park for a week. 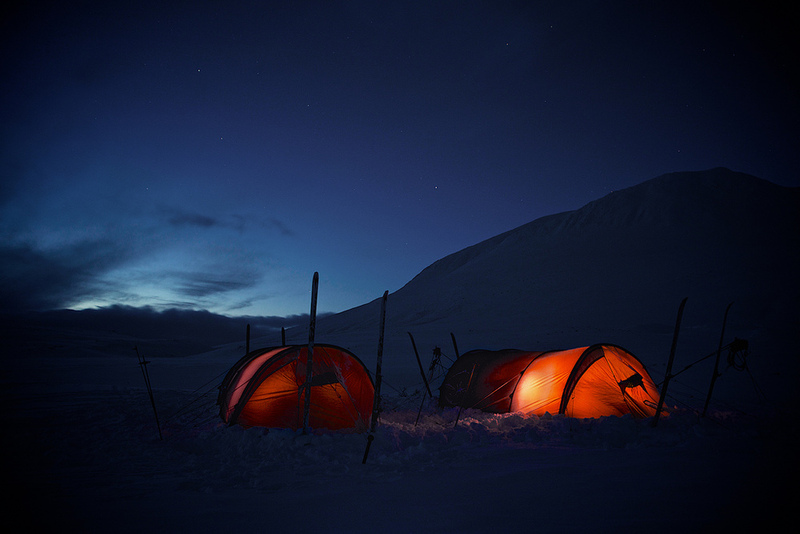 The weather was cold, -30 C during the nights and we slept in tents. I had my ordinary skating skis for the trip. The rest of the group thought that was a bit crazy, but it worked well for me. Marko Takanen shared some of his fantastic photos from our Sarek trip with me. If you want to see the original pics and more of his work you can find his Flickr account here. Late spring we went on skis to the highest point in Finland, Halti. The high point is actually on a slope of a Norwegian mountain, I think they could give the peak to us Finns – they have so many higher ones! Anyway, it was fun skiing there! Summer skiing on Halti. I'm glad that the snow held up! To learn the ropes I went on a course to the glacier of Svartisen in Norway in July. We practiced all the different aspects of using ropes for climbing, security and safety. Knowing knots and ropes from sailing helps a lot. A major difference is that climbing ropes should flex a bit (if you happen to fall down and a rope stops you it's better to have a bit of flex) while sailing ropes normally do not (at least if they are used for adjusting sails). I managed to make an impression on the others in the group by cooking waffles with some dried nettles (!) one evening and "Rømmegrøt", a Norwegian hiking specialty I guess, another night. Skills of a hungry mother! Photo by Teija Laukka from Adventure Partners who organizad the course in Norway. Mera Peak, is a 6654 m mountain quite near Mount Everest. Mera was selected to be one of the main training areas. It is pretty high, but still possible to do in two weeks in the beginnig of September. We were a group of Innotiimi-ICG consutants. 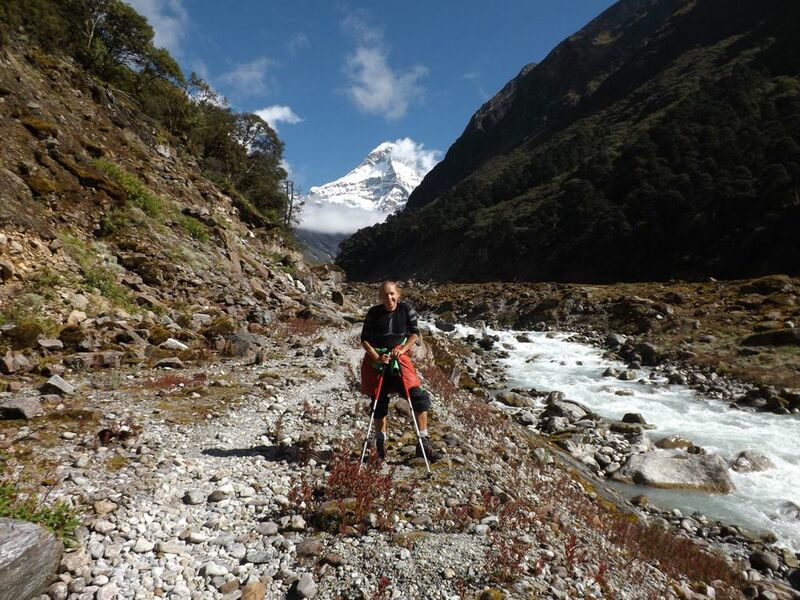 My main goals were to learn to drink nepalese tea and the most important, learn to turn back when needed. Actually we had to turn back at around 5900 metres altitude. There was a snow storm and very low visibility. The turning back felt bad, and even worse later, I mean not reaching the summit. But having everybody alive and in good shape is of course much more important. We were in a cloud with snow, could not find the high camp. We contempleted the situation and decided to take safety first – we turned back from about 5900m. Like my almost professional mountain climber friends keep telling me and their really professional mountaineer friends confirm by emails: The mountain will stay there. Better to be alive to have the possibility to try next year. In October 2013 I participated in a first-aid course for mountain climbing. Two medical doctors, Antti Oksanen and Johannes Kärkkäinen, ran it. They really know their stuff. Very useful advice. I recommend it for all outdoor people. More info can be found from Adventure Partners . A great horse that liked to go fast! Really enjoyed riding! Running on the beach, swimming with the sharks (they were small!) to the next island, biking around the island and through the desert Viano, galloping on the beach... 30 hours of exercising in 6 days with long walks in addition. Let's have a break and rest. Luckily the week is over, so going back home now. Who am I kidding, it was great! Daylight at Ylläs, the sun gets close to the horizon, but not quite there! 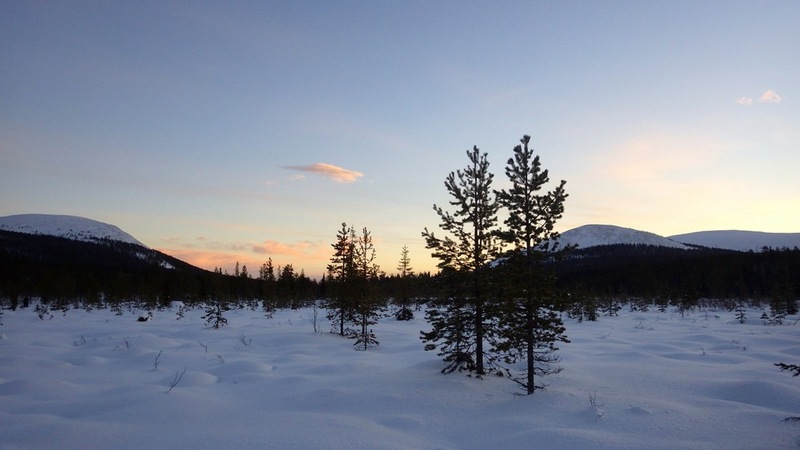 Skiing, ski-orienteering and hiking with snowshoes for 11 days in cold, soft snow in western Lapland, way above the arctic circle. No sunrise there for five weeks. We also spent the days between X-mas and New Year in the same place. Christmas-time the weather was exceptionally warm for Lapland, above freezing most of the time. The highest mountain in the Americas, almost 7000 meters. It is located in the Andes mountain range, Mendoza, Argentina. Technically easy climbing, but pretty high, good for acclimatization. Check out the blog for info and commentary. Also really looking forward to Argentinian steaks! Commentary: the steaks were fantastic! One possible idea for March was to climb Mont Blanc and to hitch a ride down with a paraglider! This sounds totally crazy, but it would be a lot of fun and a good idea for my well worn-out knees not to have to descend the normal way! In the end the solution was to just go skiing in Lapland and to participate in a climbing course run by the Paratroopers guild. We start April 1st, but it's no joke! Hope to be back by the beginning of June.